A blocked Diesel Particulate Filter (or DPF) is a common fault found on the BMW 7 Series. 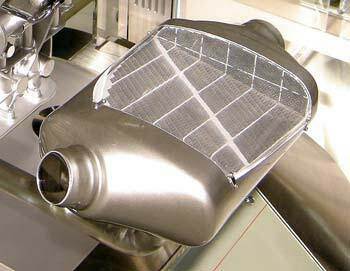 The filter is integrated into the exhausts of modern diesel vehicles to allow the soot to be cleaned via regeneration before being released into the atmosphere. During this process, up to 80% of the diesel particulate emissions is removed, however, when the DPF is burning the soot via regeneration, an ash residue is left behind which cannot be burnt, and this causes the filter to eventually become blocked meaning the regeneration process can no longer be carried out. Other factors that contribute to a blocked DPF include the use of low-quality fuels, faulty exhaust sensors, use of incorrect engine oil and not regenerating the filter successfully frequently which is done by driving 40-50mph for 15-20 miles in a low gear. As you can imagine, if you live in a city and only do city miles, this can become a little difficult to maintain, hence why a lot of vehicles we find that come to us with blocked DPF’s are city cars. Once the DPF is blocked, further problems can be created such as power loss and damage to the EGR valve and turbocharger seals, as the blocked filter causes the exhaust gasses to try and escape from the next weakest point due to high pressure in the exhaust. Problems like these will cost in the region of £1000+ to repair if the DPF blocked filter is not cleaned or replaced early on, therefore it is always advised that ant DPF faults are dealt with in a timely manner to avoid further damage to your vehicle. 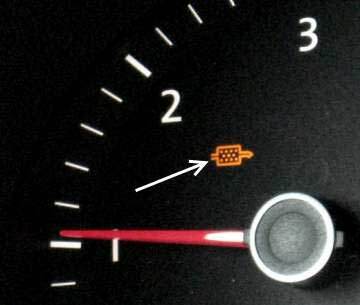 My BMW 7 Series Has A Blocked DPF – How Can Sinspeed Help? So you find that your BMW 7 Series DPF filter is blocked – what are your options? DPF Replacement Filters – The whole DPF Filter can be replaced in your vehicle, but bearing in mind genuine filters can be very costly and will come with only a 12-month warranty which will not cover you if it gets blocked up again unless the filter is defective. There are cheaper copy filters on the market nowadays too, however, they are known to block up very quickly and are not recommended. Sinspeed Complete DPF Removal Session – We now offer a completely bespoke 4 Stage DPF Removal Service where the filter is physically removed from the exhaust system and also deactivated from the ECU. Once this is done, the regeneration process is completely cancelled out so we can then go on to carry out a full smoke correction service which is bespoke to Sinspeed, providing you with the most extensive and complete service nationwide! Not only this but for your complete peace of mind, Sinspeed also offers a Lifetime warranty on all Sinspeed DPF Removal Sessions. Once the full Sinspeed DPF Removal Session has been carried out on your BMW 7 Series, the first thing you will notice straight away is the increase in power and performance, as well as sharper throttle response. The turbocharger and engine will no longer feel any strain or pressure once the DPF Filter is removed, which will allow them to work again at their full capacity with improved efficiency and power. The injectors lifespan is also increased as the injectors no longer have to squirt diesel at longer durations during regeneration cycles. We are so confident that you will love the benefits that come with our full Sinspeed DPF Removal Session which is why we offer the Lifetime Warranty, so call us today on 0203 815 9441 for more information or to get booked in! Will DPF Removal Cause Me To Fail An MOT? From February 2014, the law is changing to include the visual inspection of the Diesel Particulate Filter (DPF) during your MOT inspection. Although our DPF Removals are very discreet and our smoke-correction ensures the vehicle won’t smoke come MOT time, we are offering our DPF Removal sessions as an “Off-Road Use Only” service. For further information regarding a DPF removal for your BMW 7 Series, give us a call today on 0203 815 9441. Tags : BMW 7 Series Blocked DPF, BMW 7 Series Blocked DPF Filter, BMW 7 Series Blocked DPF Problems, BMW 7 Series Blocked Particulate Filter, BMW 7 Series Diesel Particulate Filter, BMW 7 Series Diesel Particulate Filter Problems, BMW 7 Series Diesel Particulate Filter Removal, BMW 7 Series DPF Delete, BMW 7 Series DPF Problem, can i remove my dpf, common dpf problems, Diesel Particulate Filter DPF Problems, Diesel Particulate Filter Faults, Diesel Particulate Filter Repairs, DPF Failures, DPF light on dash, DPF Problems, DPF Removal, dpf removal mot, dpf removal safety, Exhaust DPF Failures, Exhaust DPF Faults, Exhaust DPF problems, Exhaust DPF Removal, how to remove my dpf, Removing Diesel Particle Filter removing dpf filter. Hi how much would it be for a dpf delete and map for a Volvo V50 2.0d 2005 . We have sent you an email – if you can kindly respond with your postal code, we will come right back to you with a quotation.